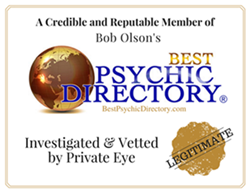 So, you are seeking a reputable, accurate, and detailed Psychic Medium to help answer an important issue confronting you or for help in finding closure or a connection to a departed loved one. OK, let me tell you about myself. 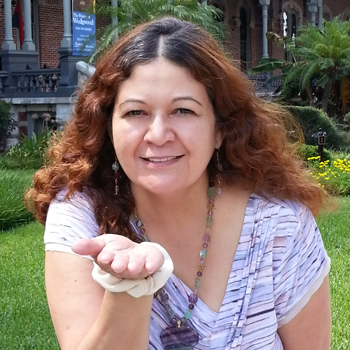 I've been doing psychic readings in the Tampa Bay area since 1998. I was a psychic reader at the Temple of Love and Healing church and the Temple of the Living God church (both in St Petersburg) for over 15 years. I'm originally from Mexico & Spain. I was born with psychic and mediumship abilities that allow me to connect with your spirit guides, angels, and loved ones that have passed. I can deliver messages that validate your loved ones are still close by, loving you and protecting you. I can read intuitively, providing you with detailed information and insight, enabling you to make informed decisions concerning current situations or future events. I'm Doreen Virtue certified as a Past Life Healer. I can lead a person through a past life regression so they can better understand the origins of unhealthful life patterns.